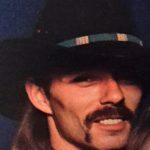 Terry “Doggy” Watson, 53, of Granbury, passed away on Thursday November 1, 2018. Service: 10:00 A.M., Wednesday November 7, 2018, Wiley Funeral Home Chapel, Granbury; Interment: Squaw Creek Cemetery, Glen Rose; Visitation: 6:00 – 8:00 P.M. Tuesday November 6, 2018, Wiley Funeral Home, Granbury. Terry was born on September 27, 1965 in Bonham, Texas to Dorothy (Pinkston) and Roger Watson. Terry married the love of his life, Kara Anjanette East, on August 14, 1992 in Granbury. Terry was a loving husband, father and grandfather. He very much enjoyed working on cars; and loved the Hot Rods. Terry liked watching old westerns; especially The Rifleman. He loved classic country and Elvis. Terry was preceded in death by his mother. Terry is survived by his wife: Kara Watson of Granbury; children: C.J. Lovato (Jason) of Granbury; Toscha Harkins of Granbury, Jake Watson of Granbury, Blake Watson of Granbury, Jimmy Duncan of Strawn; grandchildren: Kion Watson, Dayden Watson, Trendin Watson, Ryler Kersh, Harmony Kersh, Dakota Brockett, Kalee Brockett, Bentley Brockett, Lyrik Guerin, Oliver Watson; father: Bobby Pierce of New Boston, Texas; siblings: Tonia Weatherford of Montana; brother: James Pierce and wife Misti of Arkansas; nieces and nephews: Kayla and Matt Adams, Kyle and Lindsey Jones, Cassie Pierce and Caden Pierce. We had so many good times I thought of you as a brother best friends RIP Terry .